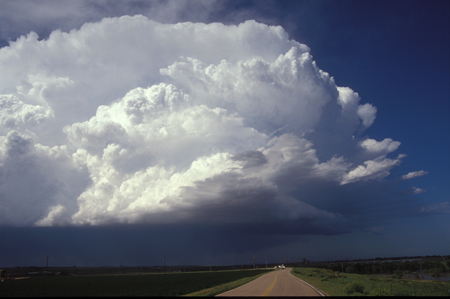 The Mesoscale Predictability Experiment (MPEX) was conducted within the U.S. intermountain region and high plains during the late spring/early summer of 2013 and included the use of the NSF/NCAR GV, along with the new Airborne Vertical Atmospheric Profiling System (AVAPS) dropsonde system and the Microwave Temperature Profiler (MTP) system, as well as several ground-based mobile upsonde systems, for the field experiment which took place during a 4-week time period from 15 May to 15 June 2013. The region of interest extended from Nevada eastward to the Mississippi River, and South Dakota/Wyoming southward through Texas (approximately 32.5°- 42.5° N latitude, 90°- 115°W longitude). Basic operations involved two missions a day: an early morning mission (~3:00 am - 10:00 am) primarily over the intermountain region, and an afternoon and early evening mission to the lee of the mountains. 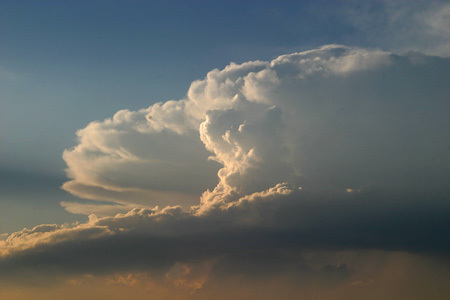 The project time period was from 15 May to 15 June 2013, due to the known high frequency of widespread, severe convective outbreaks over the Great Plains region during this period (an average of 15 per year), and also due to the fact that such outbreaks are still often associated with synoptic and sub-synoptic scale forcing features moving eastward from the nominally poorly sampled intermountain regions. Ten intensive observation periods (IOPs) were requested and a total of 15 research flights took place. 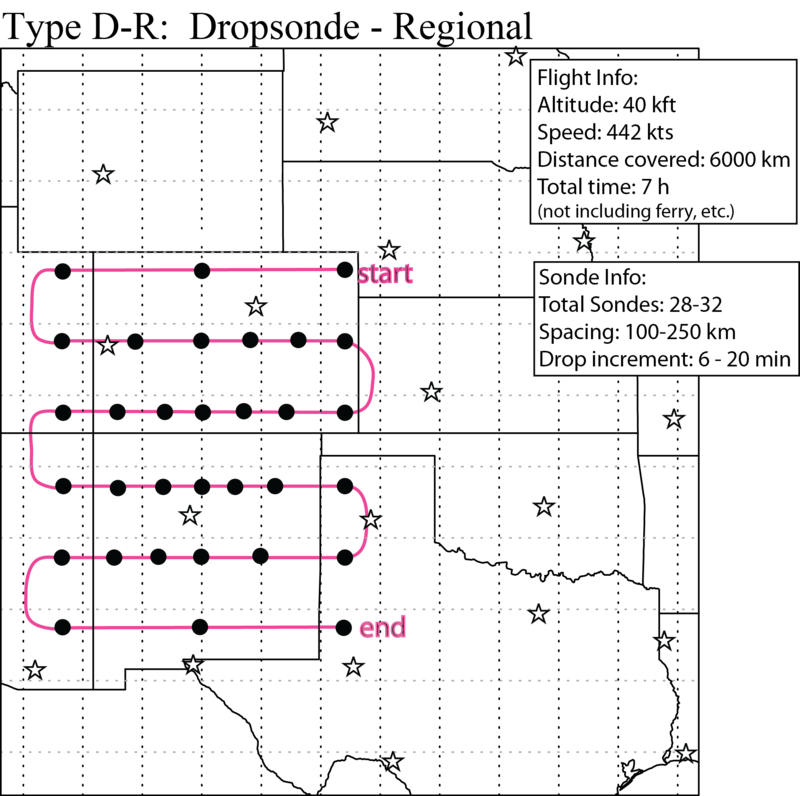 The proposed observational strategy for each early morning mission was to release 28 to 35 dropsondes from an altitude of about 40,000 ft over a grid of spacing ~ 75-200 km. MTP observations continuously sampled the temperature structure through the mid- and upper troposphere in conjunction with the dropsonde data, enhancing the representation of any mesoscale or sub-synoptic scale features along the plane's path. The dropsonde and MTP data were incorporated into both realtime and retrospective data assimilation experiments using a variety of techniques (3DVAR, ENKF, etc.) to establish the potential benefits of such enhanced observations. 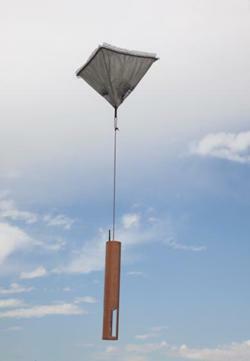 For the afternoon missions, 2-3 mobile upsonde units were positioned in the vicinity of convection to collect serial soundings as the storms developed and matured, thereby documenting both the immediate pre-storm environmental conditions as well as any subsequent storm-induced environmental modifications.